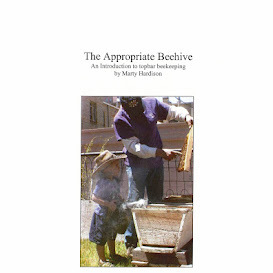 To clean any syrup feeder, dump out excessively moldy or fermented syrup, well away from the hive to avoid scavengers. Wipe the feeder with vinegar, rinse with water, and let dry. If you're using a hivetop feeder, sometimes there will be mold on the roof or inner cover above it. Be sure to clean that with vinegar, too. You can use white or apple cider vinegar which has a nicer smell. For really stubborn molds (and they are, as you can see from the before-during-after mini slideshow), you can use borax to make a more effective vinegar solution: dissolve 1 T. in 1 c. warm water, then add 2 oz. vinegar.